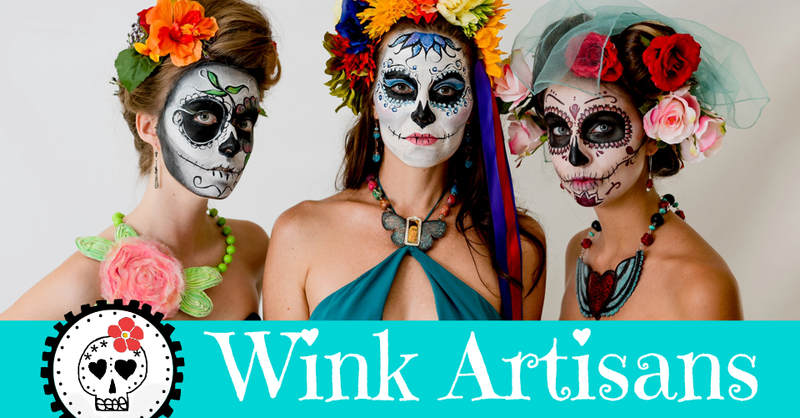 Wink Artisans will be vending this Thursday, December 1st at the Mercado Golondrina at the Queen Bee's Cultural Center in North Park. Arrive early as there will be special gifts from Mercado Golondrina for the first 50 shoppers! 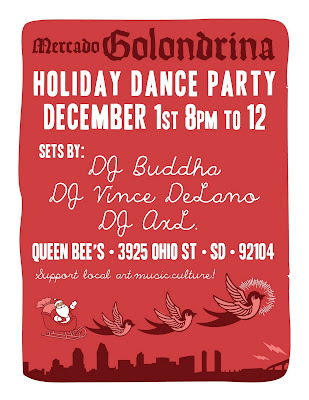 Support Mercado Golondrina with our RAFFLE - Each vendor is creating handmade Christmas Ornament. No two ornaments will be alike, plus this unique prize will be brighten your home! Raffle Tix only $1. ART! MUSIC! CULTURE! and HANDMADE! Month of December theme is Holiday Dance Party! 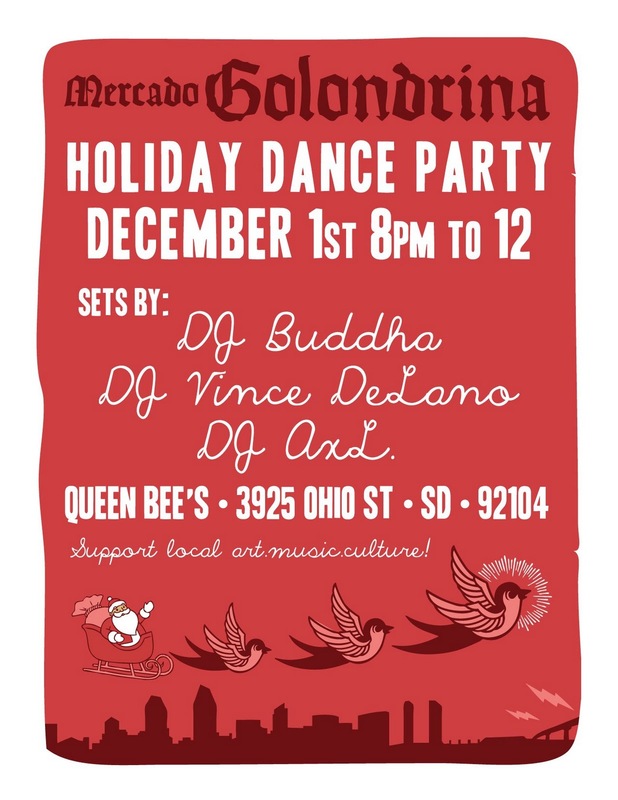 Bring your dancing shoes because we will have THREE great DJ's providing the beats - DJ Vince DeLano, DJ Buddha & DJ AxL. We are producing an event that highlights all the talents of our vendors and the diversity of our community. Thank you for supporting local artists and home-base businesses!